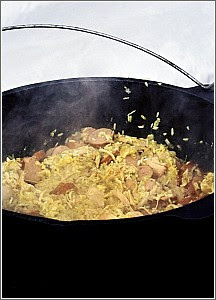 A bog is a dish made in large batches with rice that, unlike a pilaf or pilau, is wet. In other words, the rice is supposed to be soggy. This according to food experts in South Carolina where the dish and term originated. The Loris Bog-Off Festival, held every October since 1979 (9 a.m.-11 p.m., Saturday, Oct. 20, 2012), is a contest for chefs and a celebration of chicken bogs. This recipe is from the Loris Chamber of Commerce. Skim off fat from cooking liquid and measure 3 1/2 cups of this chicken broth into a 6-quart saucepan. Add rice, chicken pieces, sausage, herb seasoning and bouillon to this saucepan. Cook all together for 30 minutes; let come to a boil, then reduce heat to low, keeping pan covered the whole time. If mixture is too watery or juicy, cook over medium low heat, uncovered, until it reaches the desired consistency. Stir often while cooking. 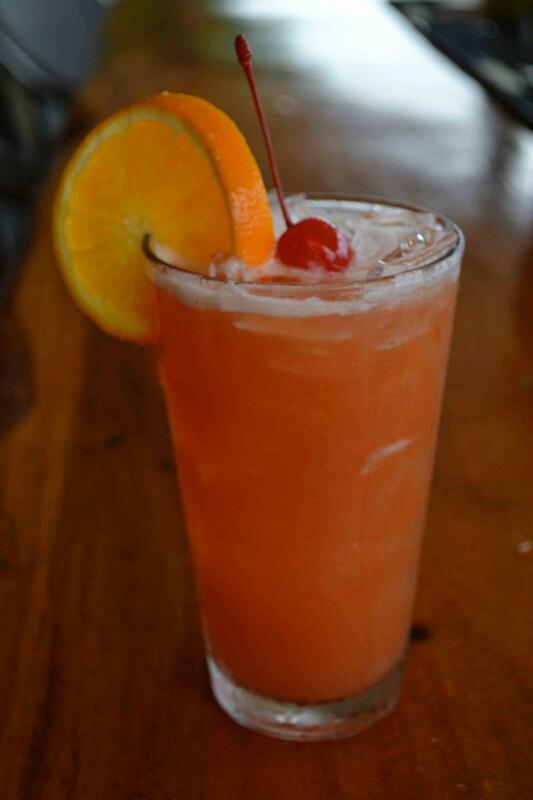 How does summer taste to you? Relish Magazine is looking for recipes based on your favorite summer foods. 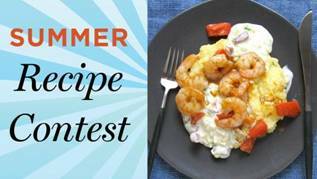 Submit your best recipe based on local produce by June 30, 2012 for a chance to win a prize worth $1,700. Just in time for summer beach outings, here's the recipe by food writer Jen Karetnick of Miami that won the 2011 Casa Marina Hotel and Restaurant Beach Picnic contest. The Indian-inspired recipe can be adjusted to lower calories and to make it gluten-free. I plan to try it on my next trip to the beach. If you try it first, let me know what you think. In a food processor, puree mangoes. Add the lime juice, yogurt, chili powder, coriander, cumin, salt and pepper. Process until smooth. Arrange chicken pieces in a roasting pan and pour mango mixture over them, turning to allow thorough coating. There should be plenty of marinade, enough to cover the chicken. Put into the refrigerator and marinate for 4-24 hours. In a deep frying pan, heat oil. Remove chicken from man-gurt mixture, shaking off excess but allowing some to remain as coating, and roll in breadcrumbs. Fry chicken parts 5 minutes on each side. Be sure not to crowd the pan. Remove chicken with tongs and drain on paper towels. Lower Calorie: This recipe is healthier, and just as terrific, when oven-baked. Preheat oven to 425 degrees. Arrange chicken on broiling pan. Bake until juices run clear when a part is pricked, 30-40 minutes. Gluten-free: Skip the panko and barbecue the chicken on the backyard grill. A major hit at the 2011 South Carolina Campground Cook-off, this recipe from last year's winning team is just too good not to share. Try it on your grill this summer and see if you agree. Mix the cornstarch and salt in a small bowl. Pat steaks dry with a paper towel. Rub the cornstarch/salt mixture on entire surface of steaks. Place the steaks on a wire rack on a baking sheet (that will fit in your cooler). Put steaks in a cold cooler with plenty of ice under baking sheet. Wait at least 30 minutes – until steaks become very firm. Light enough charcoal to get a good hot fire going over a cooking grate. Add oak wood chunks just before putting steaks on. Season steaks with ground black pepper and add to cooking grate. Cook until steaks just begin to char (2-3 minutes), then flip over. Cook until that side begins to char (2-3 minutes), then flip again. Cook until well charred (2-3 minutes) and flip one more time. Cook until that side is well charred 3-4 minutes and internal temperature measures 120 degrees for medium rare. Set steaks aside and cover with aluminum foil for about 10 minutes. Then slice thinly against the grain and serve with sauce. Combine the hot water, oregano and salt in a small bowl. Set aside for 5 minutes. Finely mince the garlic, cilantro and parsley. Combine the oregano mixture with the garlic, cilantro, parsley, red wine vinegar and red pepper flakes. Whisk in the olive oil until the mixture is emulsified. Cover with foil or plastic wrap and let stand for at least 1 hour at room temperature before serving.